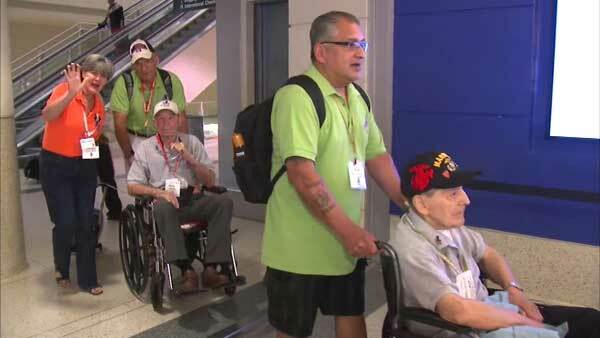 CHICAGO (WLS) -- Eighty-eight World War II veterans from the Chicago area are on an honor flight to Washington, D.C. The veterans boarded their plane at Midway Airport Tuesday morning. While they are in Washington, they will visit the World War II Memorial and other landmarks. The trip was organized by Honor Flight Chicago which will cover all of the veterans' expenses. washington d.c.midway airportveteranshonor flightwashington, d.c.